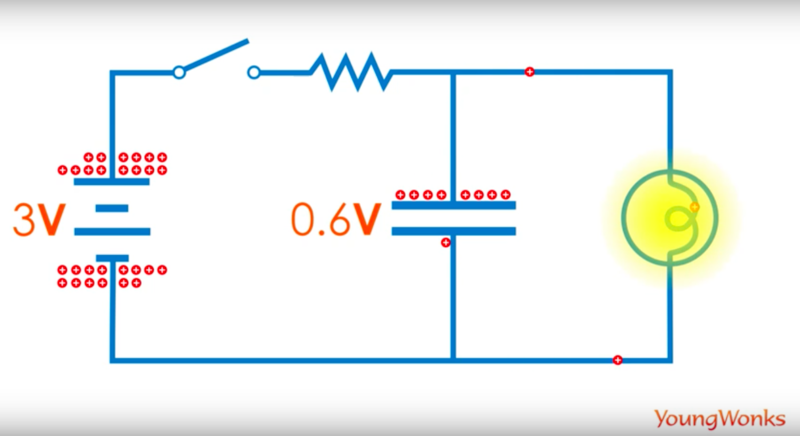 What does a capacitor do in an electric circuit? It is a common electrical component that is used in electric circuits. 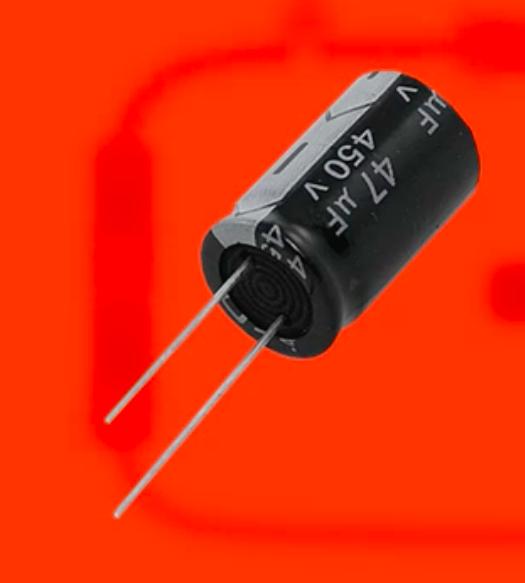 Essentially, a capacitor is a two-terminal device that is used to store electric charge. Capacitors guard the circuit against current spikes, so they are used to maintain stable potential in a circuit. What is a capacitor made up of? A capacitor consists of at least one pair of electrical conductors often in the form of metallic plates or surfaces separated by an insulator (non-conductive material). The conductor may be a foil, thin film, sintered bead of metal, or an electrolyte. The nonconducting insulator serves to enhance the capacitor’s charge storage capacity. 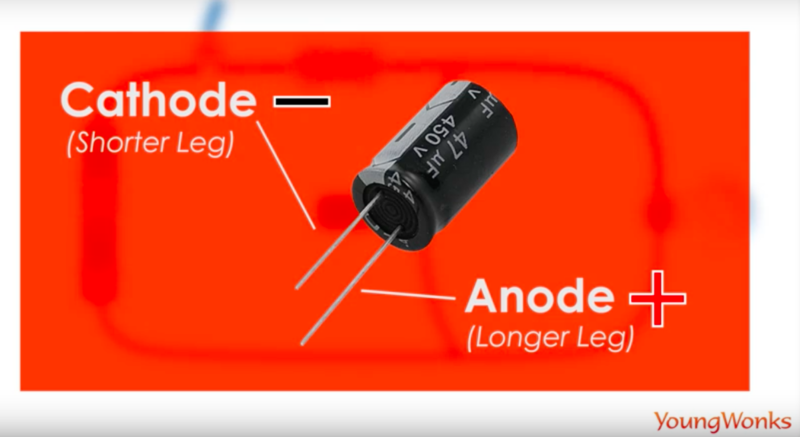 The capacitor’s positive plate (as shown by the longer leg) is called an anode as it is made of a metal that forms an insulating oxide layer through anodization. This oxide layer acts as the insulator of the capacitor. A solid, liquid, or gel electrolyte covers the surface of this oxide layer, acting as the negative plate of the capacitor (as shown by its shorter leg). This is called the cathode. Now it’s important to note that a capacitor is a like a battery in many ways, but it is not the same thing either. 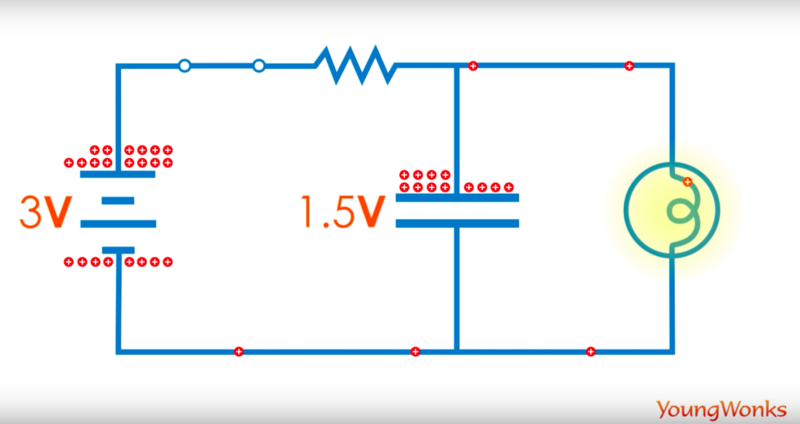 A battery uses chemicals to store electrical energy and release it very slowly through a circuit; sometimes (a clock, for instance) it can take several years. A capacitor usually expends its energy much more quickly — often in seconds. So suppose you’re taking a flash photograph and you need your camera to produce a huge burst of light in a fraction of a second. A capacitor attached to the flashbulb charges up for a few seconds using energy from your camera’s batteries. (It takes time to charge a capacitor and that’s why you typically have to wait a little while.) Once the capacitor is fully charged, it can release all that energy in an instant through the flashbulb. How is a capacitor charged? 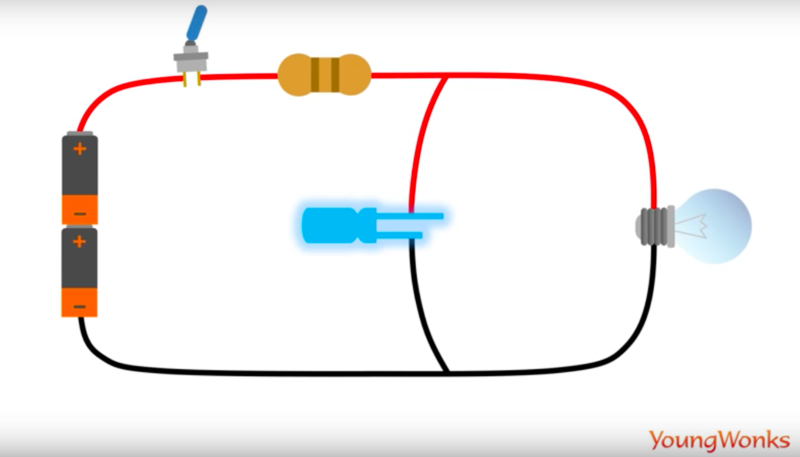 You can charge a capacitor simply by wiring it up into an electric circuit. When you turn on the power, an electric charge gradually builds up on the plates. One plate gains a positive charge and the other plate gains an equal and opposite (negative) charge. Now when you disconnect the power, the capacitor continues to hold its charge. So here given that the capacitor is still connected to a circuit containing a bulb, charge will flow from the capacitor through the bulb until there’s none left on the plates. In other words, the capacitor will discharge quickly and turn on the light bulb. Capacitors store charge, but they are put to various uses in electrical circuits. They can be used as timing devices (because it takes a certain, predictable amount of time to charge them), as filters (circuits that let only certain signals to flow), for smoothing the voltage in circuits, for tuning (in radios and TVs), and for a several other purposes. Large supercapacitors can also be used instead of batteries.